Back from Odaiba | Daily Life in Japan, Muravej Co.
We checked out the hotel around 11 AM after having breakfast. 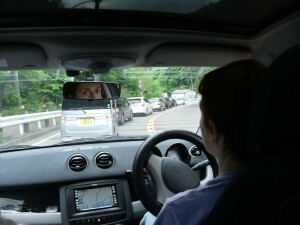 With all the goods bought in Odaiba packed in, I started driving Smart with Katya and Mariya on the back seat. 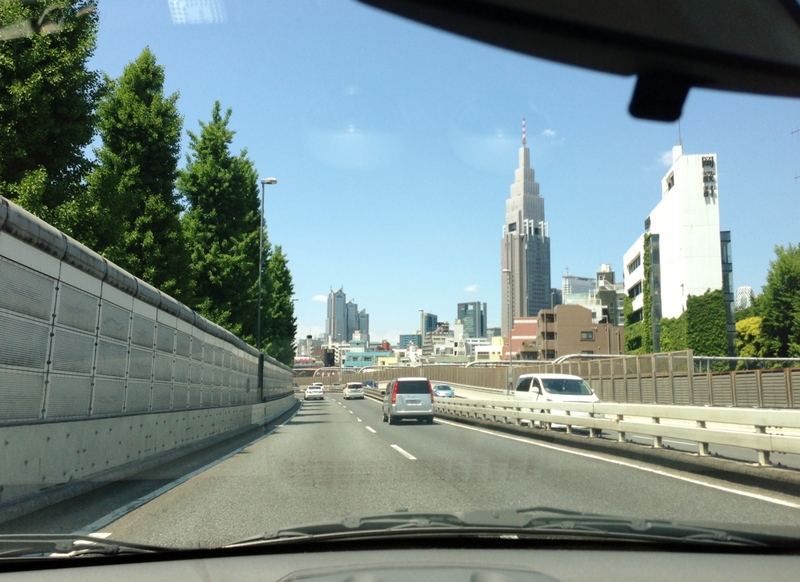 We took a highway through downtown Tokyo. The traffic was smooth. Today is Constitution Day, a holiday. Traffic jams from Tokyo were expected. Therefore, after driving through downtown, we got off Chuo Freeway at Inagi to avoid a jam. 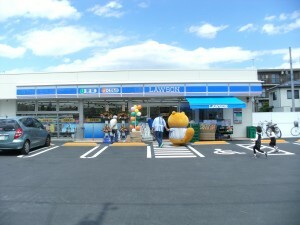 I found a newly-opened convenience store, Lawson, so I decided to take a break there. 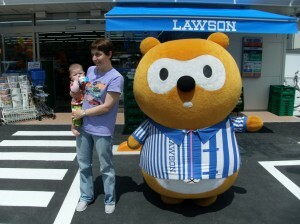 Ponta, the Lawson mascot, was helping the opening of the store. I took a coffee, Mariya got surrounded by toys, and everybody was ready to go. After the break, Katya was driving for a while, then we were caught in a heavy traffic jam in the mountain; no way to escape! Probably, the highway could have been better. Mariya started crying because of tiredness. 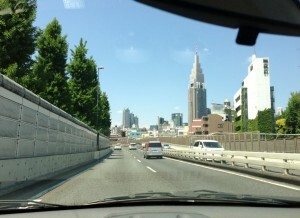 After getting out of the mountain and the jam, we got on Chuo Freeway again. Yes, the traffic was better on the highway. 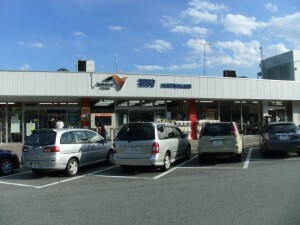 We took a break at Hatsukari Parking Area. I stepped on a big rock by the highway and recorded the traffic. Slow but not disastrous as in the mountain. 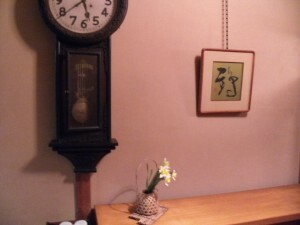 We arrived at our apartment before 6 PM. 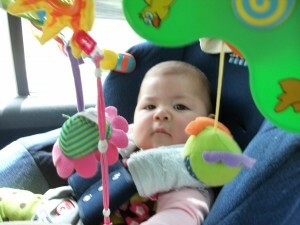 Although we had scheduled to go to Shimosuwa to have Maya-san back, Mariya seemed to be tired. So I drove alone. I arrived at my parents’ at 7:30 PM (the clock at the entrance shown below does not work). Maya-san was happy to see me. 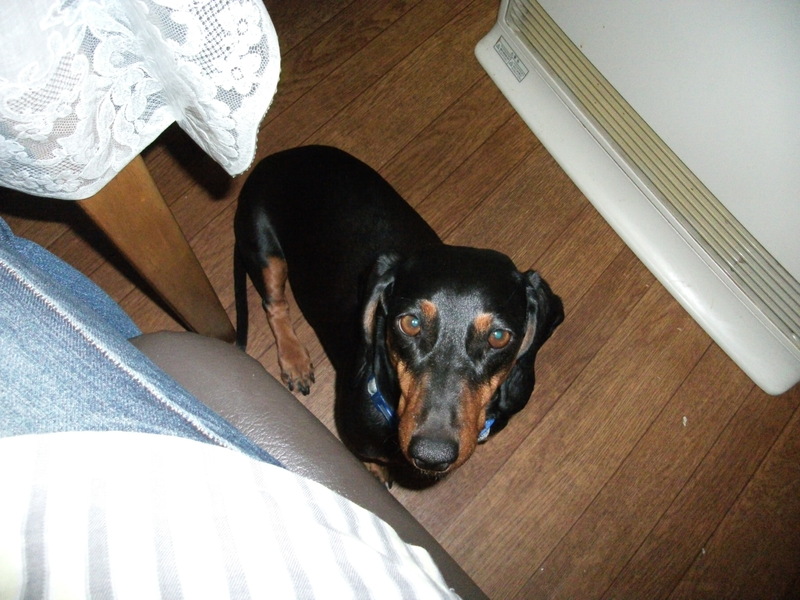 She stayed by me while I had dinner. If Katya and Mariya is not too tired, they will join me tomorrow. 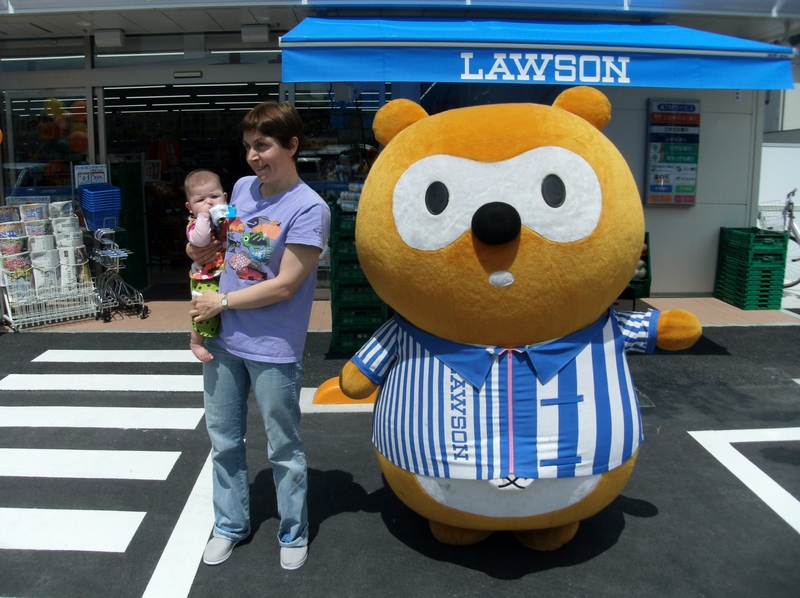 This entry was posted in Apartment, Daily life, Katya, Liesure, Mariya, Maya-san, Trip and tagged apartment, Chuo Freeway, Constitution Day, Hatsukari Parking Area, holiday, hotel, Inagi, Katya, Lawson, Mariya, Odaiba, parents, Ponta, Shimosuwa, Tokyo. Bookmark the permalink.